an important tribute for her loved ones. Then a property owner decided to remove it. Ghost bikes, existing as solemn reminders to drivers of cyclists killed on roads around the city, have been visible on our city’s streets for over a decade. Now a homeowner’s decision to remove a ghost bike memorial located on her property has sparked controversy within the Richmond bike community. On a brisk morning in November of 2003, 15 bikes – their frames twisted and mangled, their fresh paint glowing an eerie white – appeared on the streets of St. Louis, Missouri. The broken bikes were chained to street lamps and road signs. They marked the intersections where cyclists had been struck by cars. The man behind the “ghost bikes,” as they came to be known, was Patrick Van Der Tuin, a St. Louis-area cyclist, then 24 years old, who had grown fed up with the frequency of bicycle accidents in the city. The Ghost Bike Project quickly gained traction, spreading to Pittsburgh in 2004, New York in 2005 and Toronto in 2006. The most recent data shows over 630 ghost bike memorials in 210 locations around the world, from Austria to Ukraine. Ghost bikes serve two functions: to memorialize the riders killed by vehicles, and to serve as a reminder for drivers to be cautious of cyclists on the road. Although Virginia is ranked tenth in the nation for bike friendliness, the commonwealth is no stranger to the Ghost Project, with memorial sites in cities including Charlottesville, Fairfax, and Virginia Beach. The first ghost bike in Richmond, it seems, memorializes Richmond music legend Jonny Z. In March, the city remembered VCU student Corey Frazier with a ghost bike chained at the intersection of Rowland and Main. 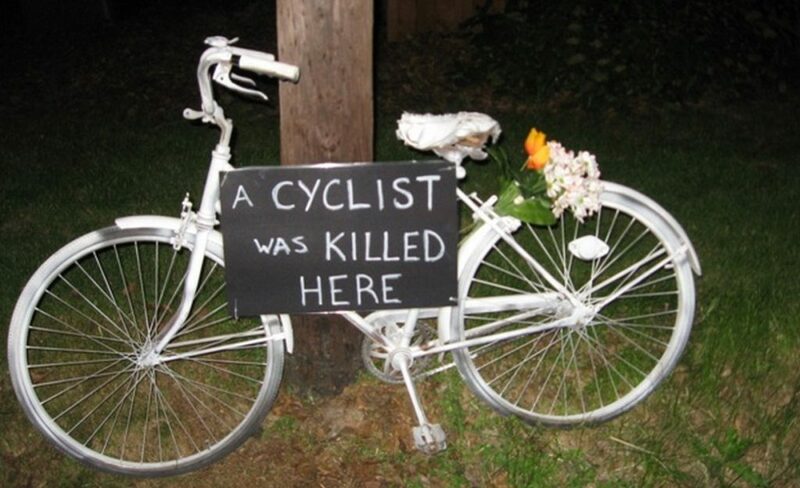 In 2012, the night Lanie Kruszewski was killed, a ghost bike appeared on River Road in her honor. There it remained, looming out of the darkness as you round the bend along the winding road, untouched for more than six years. Until earlier this month, when David Pangraze, a corporate sales executive for Nike Golf, removed it. 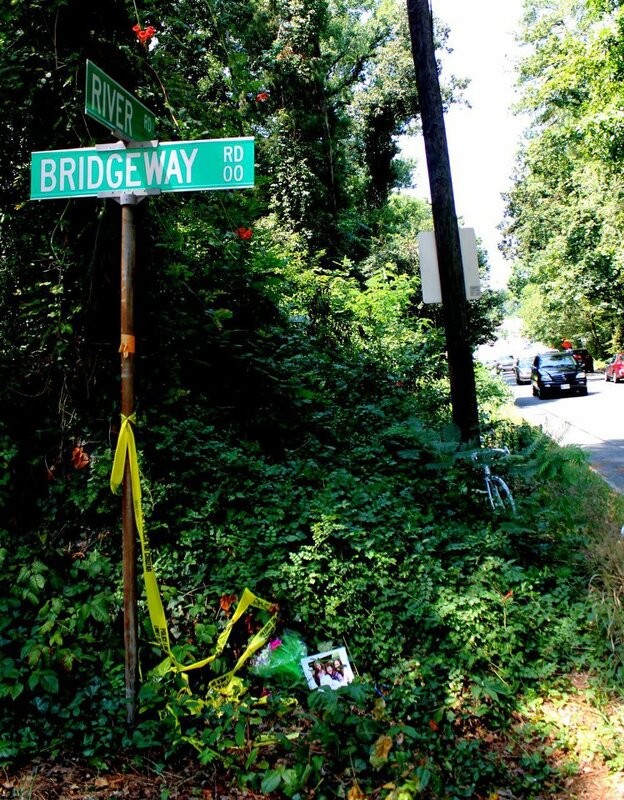 The bike was on city property, but Pangraze said in a complaint to the city that he believed the memorial to be a “traffic hazard,” the Richmond Times-Dispatch reported. Pangraze could not be reached for comment for this story. When Pangraze approached Kruszewski a year ago about replacing the bike with a sign, she began soliciting opinions from community members. Kruszewski met many of those who responded for the first time. 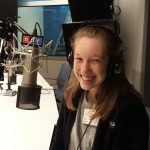 According to Kruszewski, Pangraze is the only person who ever complained about the bike directly to her – the first she heard of the only other official complaint was after reading the initial Richmond Times-Dispatch story. Kruszewski says she overwhelmingly receives nothing but support for the memorial. The ghost bike is especially meaningful to Lanie’s family. It’s visited most by her mother and her boyfriend, Daniel. For Patty Kruszewski, Lanie’s bike isn’t just somber reminder of a terrible tragedy or a reminder to distracted drivers to be on the lookout for cyclists – the ghost bike is a little bit magic. A nurse who worked the night shift in 2012 told Kruszewski that for a whole week after Lanie’s death, she saw a fox at the bike. Those who knew Lanie say she packed more living in 24 years than most people do in a lifetime. She was passionate about health, fitness and cooking. She could talk to anyone. That Lanie was killed by a distracted driver was ironic – her passion for health extended to encouraging others to practice safe driving habits. Patty Kruszewski plans to continue fighting for the return of the ghost bike, other memorials and bike friendly legislation.